Shoes are in new, without box condition. Sz 10- Mens Nike Flex Experience RN 7 4E Retail for $65 New in box Good for walking, running and walking DESCRIPTION FLEXIBLE FIT FOR NATURAL MOTION. 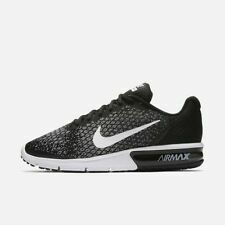 Men's Nike Flex Experience RN 7 (4E) Running Shoe delivers a sock-like fit and flexible feel using colorful spacer mesh in the heel and soft knit in the vamp. Hexagonal flex grooves are cut into the outsole for a natural ride. Hexagonal flex grooves in the outsole promote natural flexibility. Heathered knit delivers lightweight comfort and breathability. Rounded heel promotes a natural range of motion. Spacer mesh in the heel conforms to your foot for a natural fit with a pop of color. Textured outsole provides additional traction and durability. 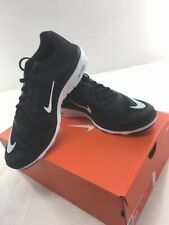 MEN'S SIZE 10 NIKE TANJUN RACER RUNNING SHOES Retail $70 Dark Grey/ white- Black. New without box. Ship US only within the 50 states. Nike Air Zoom Cage 3 HC Tennis Shoe. Color: White Navy Orange. NEW without box. The cushioning and stability you know and love is back in the Nike Air Zoom Pegasus 34. A staple in Nike's running shoe line, the Pegasus 34 appeals to a wide range of runners at all levels because of it's supportive fit, neutral cushioning, and fast feel. Nike Roshe One. Color is Wolf Grey/White. Trending at $46.32eBay determines this price through a machine learned model of the product's sale prices within the last 90 days. Nike Zoom Fly SP London White Blue Green Running Shoes [AJ9282-103] Size 11. Condition is New with box. Shipped with USPS Priority Mail. Foot-hugging Flyknit is snug, lightweight and comfortable. New with Box. Trending at $59.95eBay determines this price through a machine learned model of the product's sale prices within the last 90 days. NIKE Mens Size 10 Running Cross Training Shoes 844656-402. Condition is Pre-owned. Shipped with USPS Priority Mail. Nike Men's Free RN Running Sneakers Mesh White Black Size 8 FLOOR MODEL! The next generation of the coveted Nike Free is here. This discoloration will not clean up with any cleaners. Shoes have been inspected to ensure quality and sizing accuracy! Model: Free RN. Fast and free, these running superstars are rounded at the heel for a more natural footstrike, while the low-profile cushioning ensures comfort for the miles ahead. We do not prefer to negotiate prices. Everything we sale is 100% authentic! We will do our best to resolve any problem. Style Code: 848187 013. 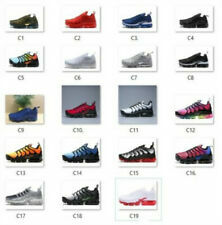 Nike Air Presto Essential Running Shoes. Color: Wolf Grey White. Nike Men's Free RN Running Sneakers Mesh White White Size 8 FLOOR MODEL! 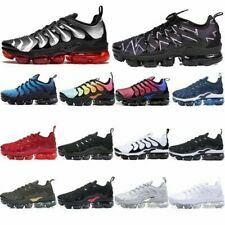 Enjoy The Look And Feel Of These Nike Air Max Premier Shoes. 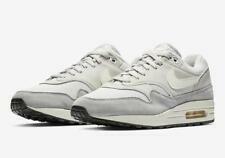 Air Max Premier. Max Air Unit Under The Heel. Color: Grey. Rubber Waffle Outsole. Age: Adult. Nike Flex 2017 RN 898457-002 Pure Platinum Black Grey Men's Running Shoes NEW! Nike Free RN 2018 Black Crimson Grey White 942836-005 Men's Running Shoes NEW!